Apple has released iOS 11.4 beta 4 alongside macOS High Sierra 10.13.5 beta 4 to users enrolled in the respective beta testing programs. Additionally, Apple has released watchOS 4.3.1 beta 4 for Apple Watch, and tvOS 11.4 beta 4 for Apple TV. The beta builds of iOS 11.4 and macOS 10.13.5 are likely to focus mostly on bug fixes, security updates, and minor enhancements, and are unlikely to include any major new features. However, both iOS 11.4 beta and macOS 10.13.5 beta are testing Messages in iCloud, a feature which aims to sync iMessages over iCloud for an improved iMessage experience. 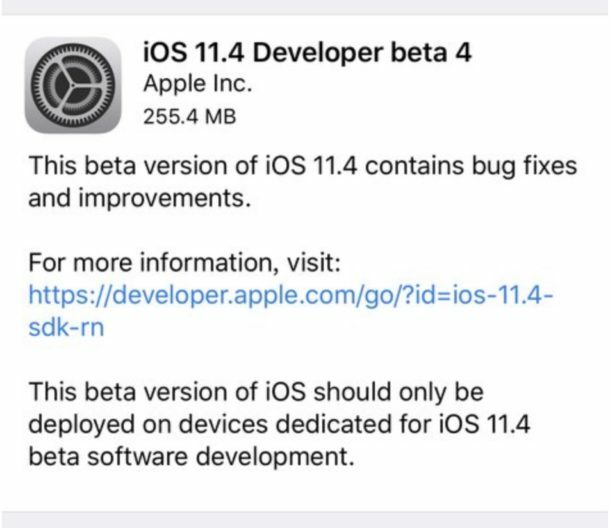 iOS 11.4 beta 4 is available to download now from the Over The Air update mechanism within Settings app > General > Software Update on any iPhone or iPad that is already running a prior iOS 11.4 beta build, as long as they maintain the beta profile. macOS 10.13.5 beta is available to download through the Mac App Store Updates tab on any Mac that is already running a beta release of macOS High Sierra. tvOS and watchOS betas can be installed through those devices respective Settings apps, assuming they are enrolled in the beta testing programs. Apple usually rolls out the developer beta version of system software before releasing the public beta version soon after. Anyone can choose to participate in the public beta testing programs for Apple devices, but due to the buggy nature of beta system software it is generally not recommended for most computer users. Typically Apple will go through several beta builds of an operating system release before unveiling a final version to the general public. 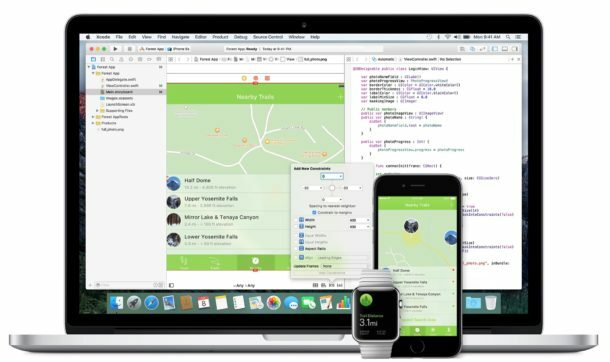 It’s largely speculated that iOS 11.4 final and macOS 10.13.5 High Sierra final will debut sometime before, on, or near the WWDC 2018 conference in early June.